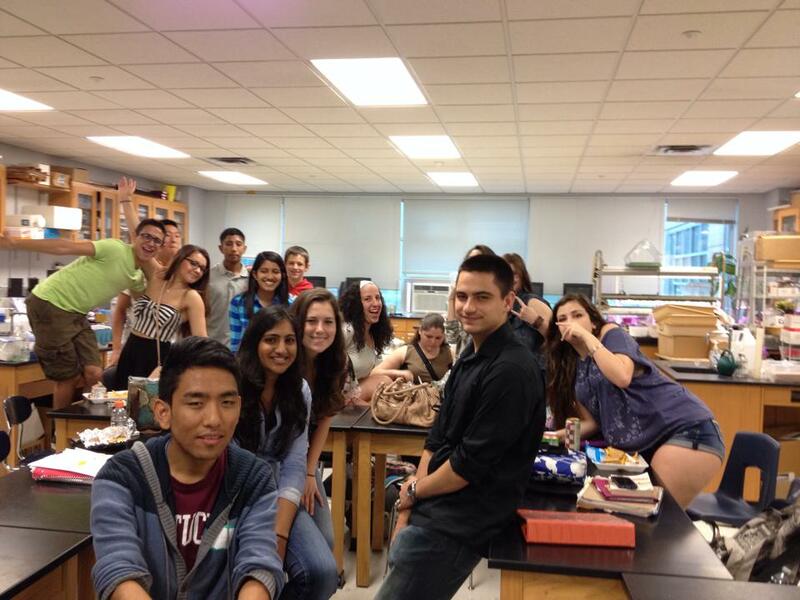 In June, the Stony Brook University's iGEM team went to visit Sachem High School East. We spent two days there, speaking to over one hundred different students. We presented to an Advanced Placement Biology class made up of junior and senior students, and three research classes made up of students in all different stages of their high school career. Our presentation consisted of: an introduction to synthetic biology, an overview of iGEM and the competition, our research, and tips for getting involved in research in high school and college. We are currently communicating with the research director at Sachem High School East with the hopes of starting and advising a high school-level team. 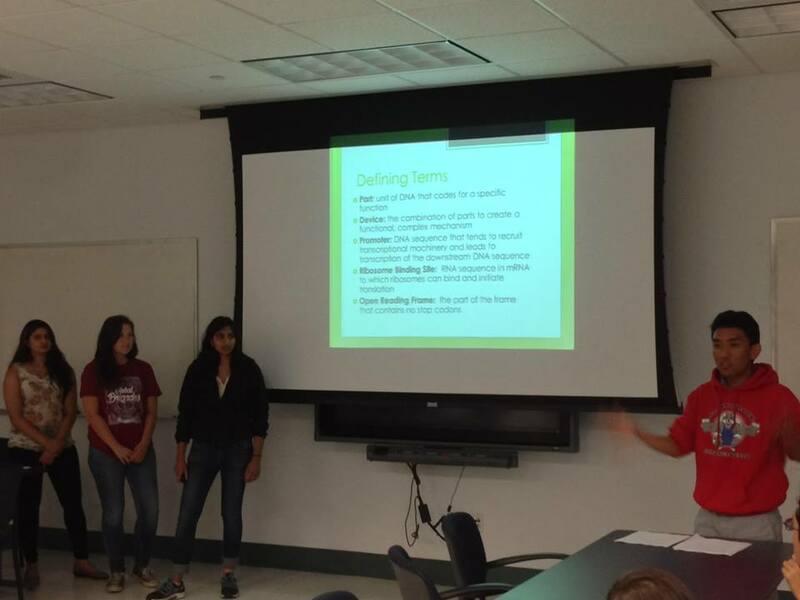 In July, our iGEM team made a special visit to Stony Brook University's Biotechnology Summer Camp. This camp is made up of high school students who excel in the biological sciences. Our presentation also consisted of: an introduction to synthetic biology, an overview of iGEM and the competition, our research, and tips for getting involved in research in high school and college. However, we were able to be much more detailed in what we were explaining. We also showed them some of our current mathematical models, and demonstrated our software.